Lawmakers created the adult care home system in North Carolina largely as a reaction to a national movement to move those with mental illness out of institutions during the 1970s and 1980s. But the nature of their solution has run afoul of the U.S. Department of Justice, which is currently in protracted litigation with the state over housing for mentally ill adults. The DOJ division for civil rights accused the state, most recently in January, of violating a settlement originally reached in 2012. Since then, the state and feds have filed multiple briefs and motions in the U.S. Eastern Judicial District for North Carolina. So far, no court dates have been set in the case. The settlement committed North Carolina to providing community-based treatment avenues for mentally ill adults. But an independent reviewer monitoring the situation found that, for the vast number of mentally ill adults who did not require long-term hospitalization, the state still provided few community-based housing and treatment options, in turn forcing many of them into adult care homes where no treatment occurs. The feds say that violates the terms of the settlement and have asked the courts to force the state to change. State officials have issued their own legal filings disputing the federal claims. The federal litigation is not about whether the adult care homes are functioning well and providing the promised levels of care. The U.S. Department of Justice’s objection is to the lack of other options, even if adult care homes were doing their jobs properly. But a 6-months-long investigation by Carolina Public Press has found that, five years after the state reached its settlement with the federal government, not only has the stated not worked to create more options but its hit-and-miss monitoring of the adult care home system where mentally ill adults end up as a result has unfortunate results. Riddled with inconsistencies, the state’s system appears haphazard at responding to neglect and abuse, while completely dysfunctional at preventing poor care and ensuring these homes are reliably safe and secure. 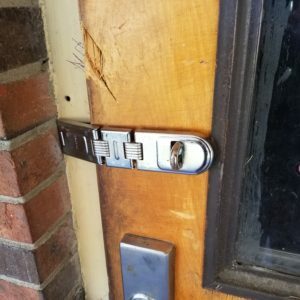 Carolina Public Press reviewed three years of records and reported on the details of the top 10 most penalized facilities in the state, as well as facilities in all 100 counties. While this differs from the focus of the federal litigation, it demonstrates a state failure on multiple levels, all of which may violate the Americans with Disabilities Act. Some across the state believe that the state has “fixed” its problems by voluntarily settling the suit in 2012. 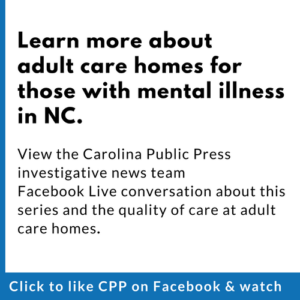 But others told Carolina Public Press that a “gaping hole” in care still exists that adult care homes – both larger ones and the smaller family care homes – are structurally incapable of fixing. By the late 20th century, state psychiatric hospitals, many of which were built more than 50 years earlier, had begun to crumble across the county. Many states’ officials, seeking to reduce the number of people in those hospitals, encouraged the building of smaller facilities to house people who once lived in larger institutions. Not every state went that route. Some went to smaller group homes. Others implemented systems of supported housing that allowed people who once would have been institutionalized to live in their communities in either apartments or small rental houses. North Carolina, according to advocates for the mentally ill, was more heavily reliant on adult care homes than most states, which eventually put the state at odds with the federal government and the Americans with Disabilities Act. The U.S. Department of Justice opened an investigation in 2010 into North Carolina’s use of adult care homes to house people with mental illness. Instead, the problem was that there weren’t enough community-based housing options to serve the state’s population of people with mental illness, and even fewer options for viable treatment alternatives in those communities. Adult care homes don’t “treat” mental illness. But the statute defining adult care homes makes clear that residents with cognitive disorders and mental illnesses may be housed in these facilities, where they are provided with care. Outside physicians and mental health providers see to treatment while they reside in these facilities. In practice, this has resulted in an adult care home system that provides housing for a large portion of the state’s mentally ill adults through a system of private, non-governmental businesses. Within the industry, the identification of adult care homes with mental illness housing is so pervasive that one Buncombe County company incorporated as “Nutz R Us.” The name was changed last year following a CPP report. This problem has led some advocates to say that instead of creating a system to provide treatment, North Carolina has simply found a way to store people indefinitely when society considers them inconvenient. And even then, the care with which that human storage is conducted and regulated remains questionable. The problems identified when the adult care system was evolving have not gone away. The state reached a settlement with the federal government in 2012 that was designed to “expand access to community-based supported housing” to 3,000 people who were living in adult care homes or were at risk of being admitted into an adult care home, and also mandated changes to the state’s employment support system and the availability of mental health services. Where the state is now on meeting that obligation depends on whom you ask. The U.S. Department of Justice filed a new motion in the case last January, saying the state “repeatedly failed to comply with its annual obligations under the Agreement, lagging far behind schedule” and that “judicial intervention” was the only way the state would comply with the terms of the settlement. Marti Knisley is the independent reviewer of the settlement agreement and the state’s compliance with it — a role created as part of the settlement agreement. Currently based in Raleigh, she has worked in human services for the state of Ohio, the District of Columbia and the state of Pennsylvania, and served as a consultant to the state of New Jersey during its efforts to meet the terms of a similar Olmstead settlement. 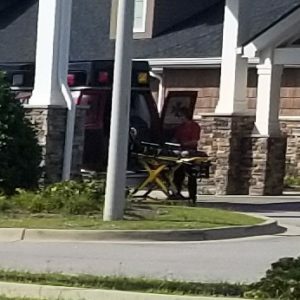 “Since the settlement agreement began in 2013, there have been almost 9,000 people with mental illness screened to move into adult care homes and there are somewhere in the neighborhood of 7,000 people out of those 9,000 who are in process of moving in or have moved in,” Knisley told Carolina Public Press. And those aren’t necessarily the worst outcomes, according to Knisley. The state has until 2020 to comply with the settlement agreement, but advocates who spoke with CPP said uniformly that meeting that goal appears unlikely. In addition to the 3,000 housing slots, the state agreed to further implement community-based mental health services like Assertive Community Treatment teams, crisis services and supported employment services to help people with mental illness find and maintain jobs. The Department of Justice argued in January that the state failed to meet its goals in those categories and was providing housing and employment assistance to only a portion of the people within the target population. North Carolina is one of several states involved in Olmstead settlements and lawsuits with the federal government. New York and Illinois both also have settlement agreements with the Department of Justice. Knisley said it appears that none are on track to meet the terms of their settlements. A barrier to a setting up a more community-based system for people with serious mental illness as the federal government and some advocates have called for is that, in some rural North Carolina communities, there aren’t enough mental health services available, despite the existence of Local Management Entities/Managed Care Organizations that are tasked with providing mental health services in different regions of the state and receive public funding to do so. 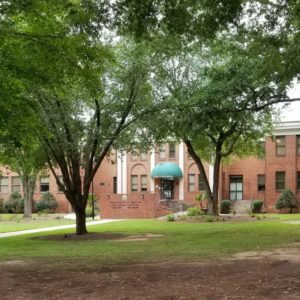 “In reality, there is no community that meets the criteria where the long-term care facility is the only option for someone with mental illness because every county in our state is supposed to be touched by an LME-MCO,” said Jack Register, former executive director for the National Alliance on Mental Illness North Carolina. One potential concern about an unintended result of the federal lawsuit is that while the litigation is ongoing it could pressure the state not to engage in the more aggressive crackdown on adult care homes with serious problems, something many advocates have called for. If the state were to lose substantial numbers of beds at adult care homes, it would only strengthen the federal case that the state lacks an adequate solution for these individuals. Still, advocates for people with mental illness argue that adult care homes are not only inappropriate places for people with therapeutic needs to live, but also that conditions in the homes can actually make mental illness worse. “Long-term care homes should be a place of last resort for our community,” Register said. The U.S. Department of Justice letter to Cooper explaining the findings of the federal government’s investigation said adult care homes often mimic the institutional settings of larger psychiatric hospitals, only on a smaller scale. Many facilities have long corridors or wards, video monitoring, medicine distribution queues, paging systems and restrictions on resident mobility in and around the facility. Activities at the facilities are “largely infantile and consist of activities such as bingo, arts and crafts, puzzles, movie-watching, and board games” and many residents reported “smoking and napping to pass the time,” according to the letter. Gibson especially noted this issue with family care homes, which are adult care homes with six beds or less. “The thing is that family care homes don’t get a great deal of reimbursement for what they do, so to hire another staff member to do something like that isn’t feasible,” she said. Another concern advocates have about the adult care home system is related to mixing elderly residents with dementia or other age-related mental illnesses with younger people with diagnoses that could cause them to be violent or volatile in other ways. There’s limited data about just how often those populations are mixed but, according to Gibson, more than half of Buncombe County adult care homes have adults in them that aren’t elderly who suffer from mental illness. According to Knisley, there are sections of the Department of Justice settlement agreement that could help the state move toward helping younger people with mental illness live in community-based settings, rather than in adult care homes. “The outcomes of supportive employment and having a housing system that actually works is for people to live successfully in the community and have services available so that young people don’t have to go to adult care homes and live the rest of their lives,” she said. Carolina Public Press contacted the offices of both Gov. Roy Cooper and North Carolina Attorney General Josh Stein for comment. Neither responded prior to publication. In addition to the government lawsuits, individuals have also sued adult care homes or the companies that own them. In one case described earlier in this series, the Raleigh-based Gugenheim Law Offices filed a class action suit against Ohio-based Saber Healthcare Group over conditions at adult care homes the company operates in Mecklenburg, Franklin and Johnston counties. 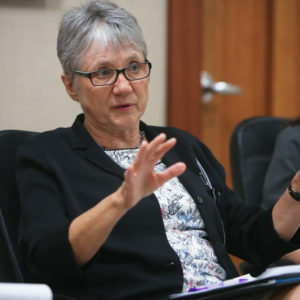 The lawsuit points to deficiencies identified in state inspections of the Saber-owned facilities, blaming low levels of staffing for injuries to residents who weren’t receiving appropriate care and supervision. Their Franklin County facility had the highest financial penalties of any adult care home in the state during the last three years. Drew Hathaway, a Gugenheim Law Offices partner and lead counsel on the case, told Carolina Public Press that he believes the lawsuit has already brought some improvement in the company’s operations. Franklin County Superior Court Judge Donald Stephens granted a preliminary injunction against Saber requiring the company to beef up staffing levels in May 2016. Hathaway said last week that since the injunction the company has increased staffing at its adult care homes across the country. However, the future of the case remains uncertain, as Saber has motioned for full dismissal, with a hearing scheduled for Franklin County court today, Hathaway said. CPP has invited Saber to comment for this report, but the company did not respond prior to publication. Saber’s business model primarily relies on marketing its facilities as places providing excellent care to families, who are willing and able to pay for that care. As such, the class-action lawsuit alleges a breach of contract. In contrast, many other adult care homes operate on a business model focusing on public payments for disabled residents relying on Medicare. Litigation involving those types of adult care home companies may focus on whether taxpayers have been wronged. In one such case, Steve Gugenheim, also a partner at Gugenheim Law Offices, is acting as the plaintiff in a whistle-blower federal lawsuit against Hickory-based Meridian Senior Living and its sister company Affinity Living Group, which manage adult care homes throughout the nation relying on this public-pay model. Gugenheim’s complaint alleges that staffing levels at these facilities are out of synch with their Medicare billing levels. Although the lawsuit lists the state and federal government as potential co-plaintiffs, they have declined to participate so far. However, because it is a whistle-blower lawsuit, the government entities would be entitled to a portion of any winnings if the courts rule in Gugenheim’s favor. Because Gugenheim is the plaintiff in the case, he is not acting as the attorney in his own suit. Contacted by CPP for comment, he referred all questions to his legal counsel, Clifford “Kip” Marshall of Asheville. 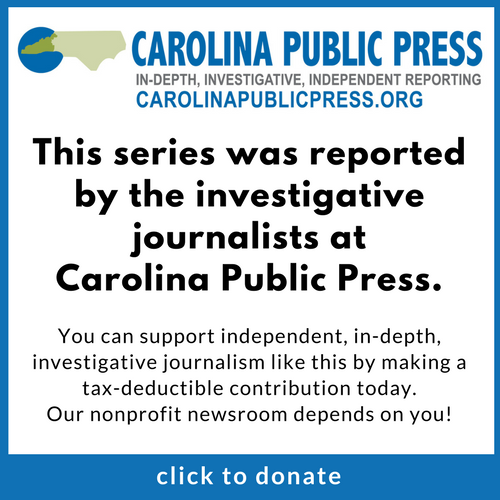 Editor’s Note: Carolina Public Press investigative reporter Michael Gebelein, a co-writer of this article, did not participate in writing or reporting on the portions of the article related to private litigation due to a potential conflict of interest involving a family connection to one of the parties.